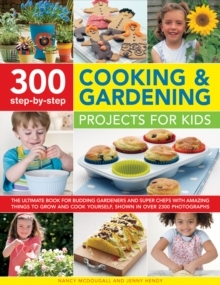 Getting your hands dirty and growing your own fruit, vegetables, herbs and flowers in the garden is great fun. 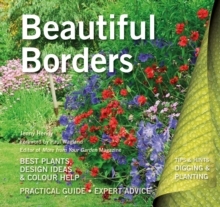 From flowering wellies, crazy gourds and bird baths to wind chimes, butterfly pots and grass-head men, there is a huge range of exciting projects that you can do in and out of the garden, whatever the weather. 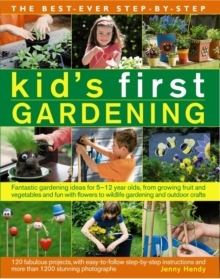 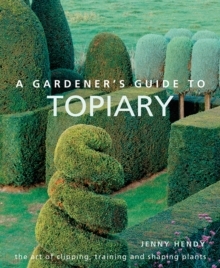 The book includes basic gardening know-how, fruit and vegetables, craft projects, wildlife gardening and indoor gardening, plus a list of good plants to try. 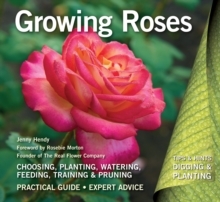 Clear instructions and fun photographs make following the projects easy, while tips and growing ideas provide inspiration and encourage experimentation.